Modular Exhibition Stands are a popular and eco friendly mode of exhibiting. It comprises of pre-engineered parts such as Walls, Roofs and Rooms that create a look and feel of a custom stall. 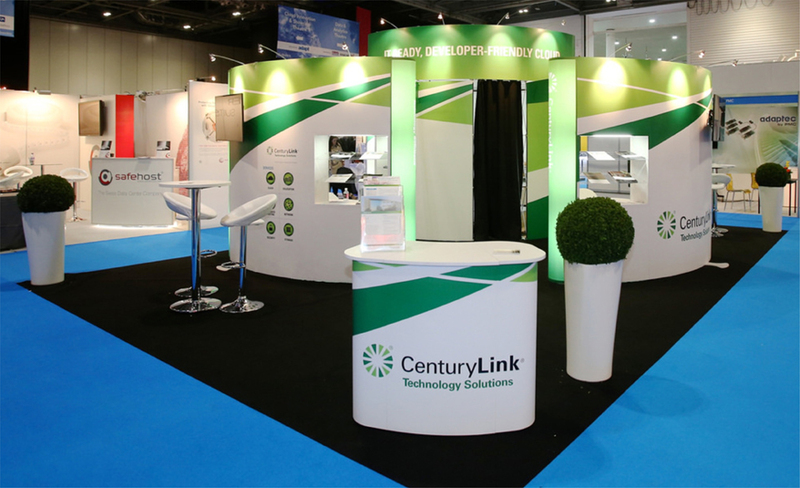 A plethora of accessories can be added such as Brochure holders, Product shelves, Product display counters, Kiosks, Graphics and Lighting to enhance the look and utility of the stand. Modular Exhibition Stands considerably reduce shipping, drayage and I&D cost due to its portability and minimum tool set up. It can be used for Tradeshows, Events & Conferences, Road shows, Shopping Malls or Brand activations and In-store displays. It is best suited to exhibitors who participate in multiple Exhibitions at different venues. Its lightweight stand structure makes it easy to pack and transport, whereby you can take your stand along with you wherever your next show is. Modular Exhibition Stand System becomes an asset as you can reuse the stand for any future events or shows. Its modularity and reconfigurable nature gives the benefit of exhibiting at multiple venues and in any floor plan by simply adding or reducing its structural components and accessories to suit your needs accordingly. Custom stands follow the ‘build and burn’ principle where, post show, material is dismantled and scrapped. Modular Exhibition Stands are environment friendly. These are reusable stand systems where the same material can be packed and used again for future shows. This reduces material wastage to a great extent. Reusability also means reduced manufacturing; which further means reduced raw material usage for an exhibitor. Its portable nature and use of light weight components means lower volumes and lower weight which reduces freight cost; this also results in reducing the burden on fuel consumption. There is lower utilization of wood and allied material in Modular Exhibition Stands since more of aluminum and metal is used. Eco friendly fabric is used as graphic media against the conventional vinyl media. Modular Exhibition Stand Systems are futuristic since companies are increasingly becoming environment conscious. These stands not only provide good Return on Investment but also result in serving the purpose of exhibiting in a more sustainable manner.